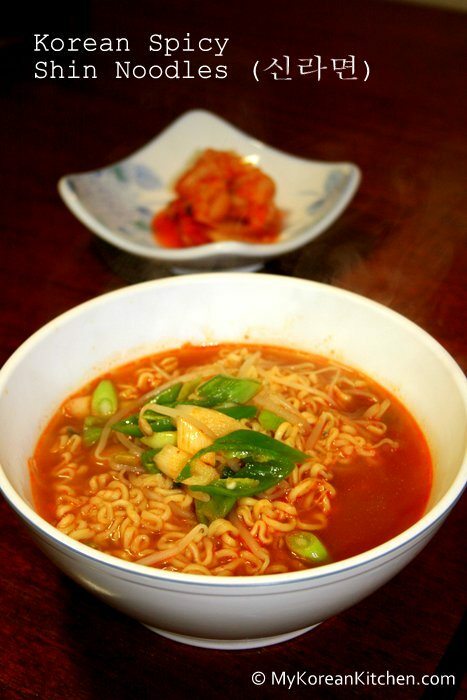 Addictively spicy and delicious Korean Shin Noodles! 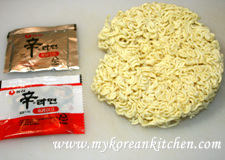 Yesterday I had a recipe request from Mika about instant noodles. She was wondering what kind of ingredients I add when I make instant noodles. It was my first time using mung bean sprouts in instant noodles. I think it gave a very fresh taste to the soup so it felt like a really healthy meal. I really loved it! 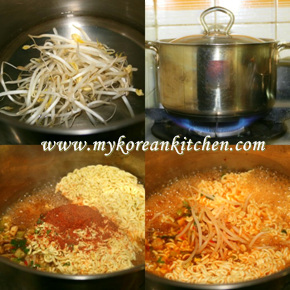 Put the water into a pot, add the mung bean sprouts. Put the lid on and boil it. 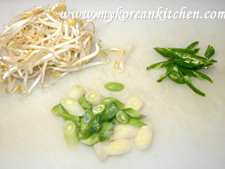 Add the chili and spring onion 30 seconds before you serve. Serve the noodles in a soup bowl. 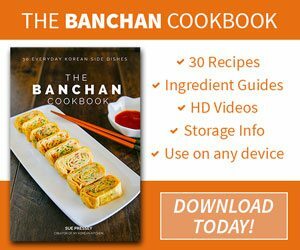 Don’t boil the noodles too long. Eat it soon after making it, otherwise the noodles become sodden. I like to make mine with sliced yellow cheese and meat. Hot dogs or SPAM work well also, they make it taste like Pudae Chigae 🙂 especially if you add the sprouts and some enoki mushrooms. i think shin ramen is one of the most popular brands of ramen in honolulu. i always poach an egg (for protein) into the soup about 2 minutes after i add the noodles. 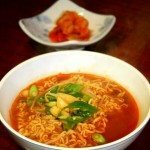 Yes, ramyun is a much easier food to cook. Thanks for your compliments about the mandu by the way. Thank goodness for ramen! 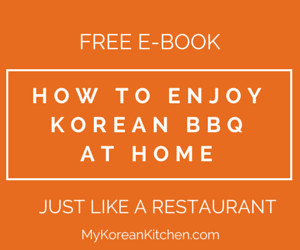 You definitely deserved a culinary break after your fiasco with the mandu! Your mandu looked amazing, by the way. 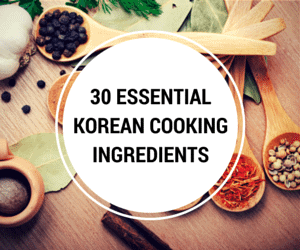 It is made by Nong shim. It was really yummy. :p Wasn’t too spicy for me. 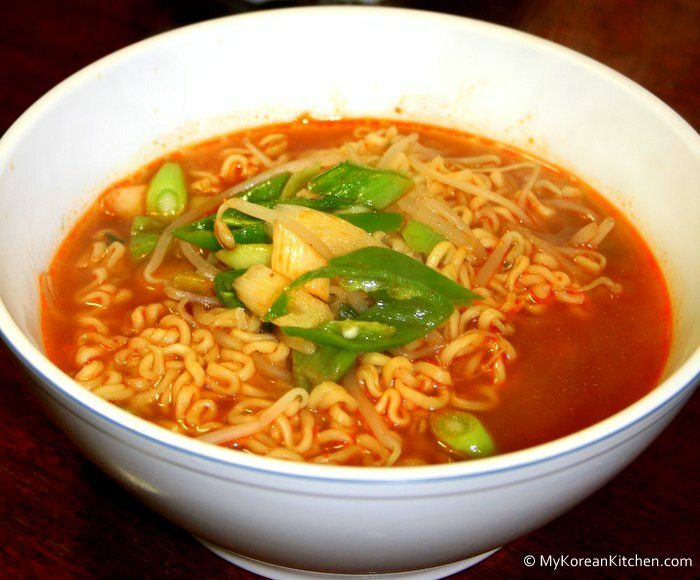 but i definitly miss those noodle..
this does sound perfect for winter! 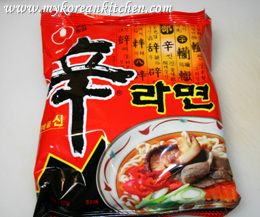 will have to be on the look out for this brand–is it Nong shim?